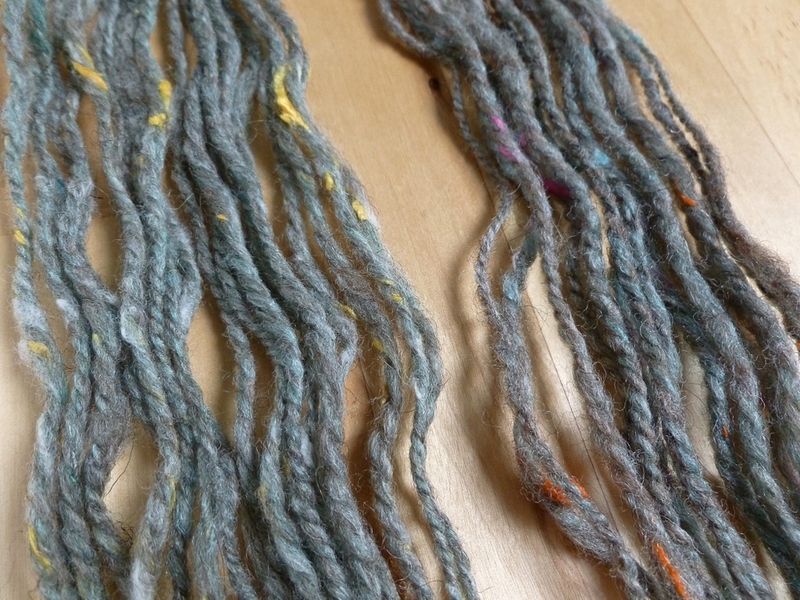 As unassuming as this skein looks, it is actually spun from wool and a whole lot of firsts. The skein was made from the first batt I turned into fauxlags, aka fake rolags. It’s the first time that I’ve spun a true woolen yarn. The first time that I’ve spun black wool. As well as the first time that I’ve spun long-draw from a traditional prep. More than a sample anyway. Having spun this yarn and to now be holding it in my hands, makes me feel like I’ve leveled up to become a better, more knowledgeable spinner. Still one that still doesn’t know what to make with her ever growing stash of handspun either. The batt had been sitting in the stash for years without a purpose. 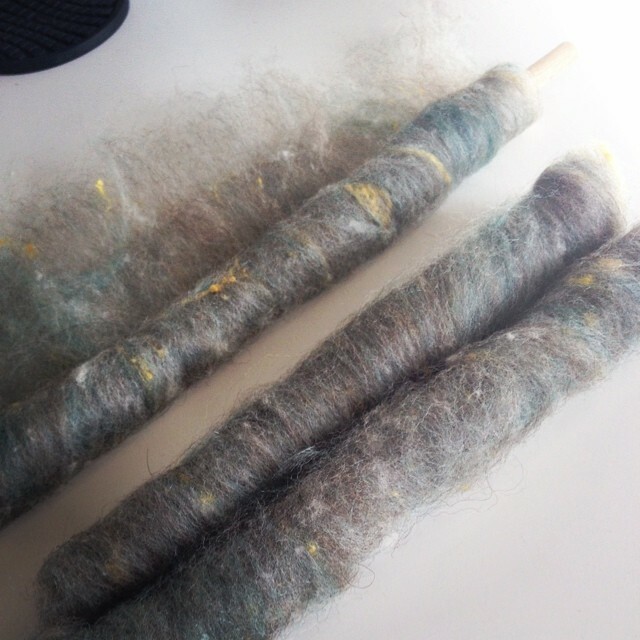 It wasn’t until seeing a demo on rolags and actually spinning one that I had some clue of what to do with the fiber. Unfolded, the batt covered my entire balcony table. What exactly had I a gotten myself into? Remembering the demo, I spent the next couple of afternoons turning the batt into 37 fauxlags. They covered most of my kitchen table. 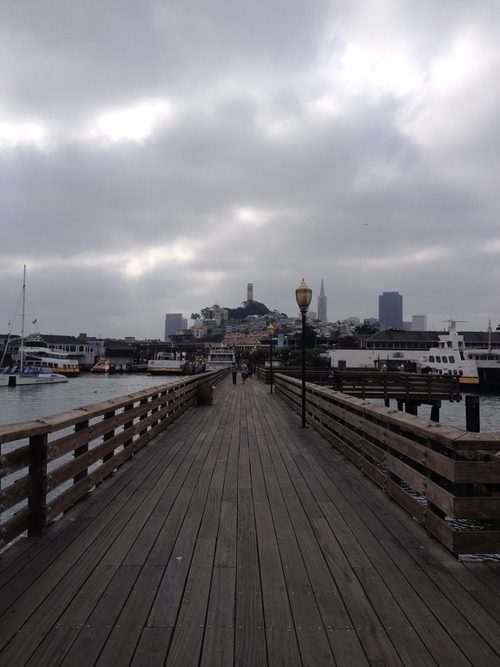 Couldn’t help but wonder, again, what I’d gotten into but all those worries disappeared once I started spinning. Big or small, long or short, the rolags were incredibly fun to spin. Spinning the 37th was just as enjoyable as spinning the first not just because of the different sizes but also the colors. One rolag would be black with bits of purple and the next would be full of eye popping blue. 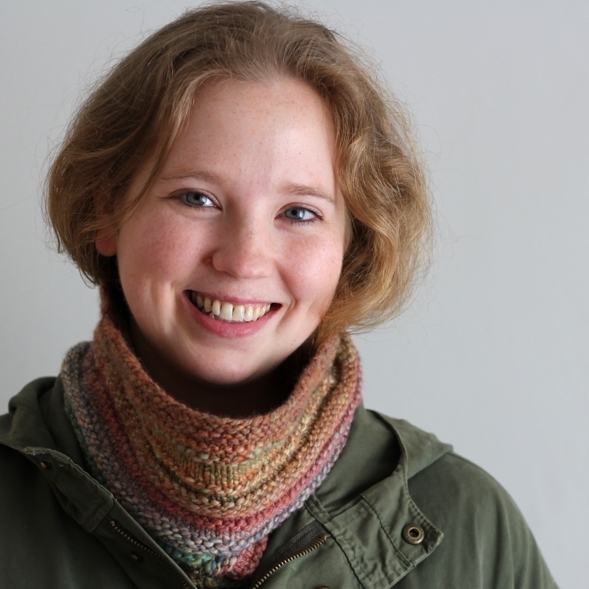 Despite their differences, the rolags combined to form a fairly consistent yarn. Well, as consistent as a lumpy, bumpy, woolen spun yarn can be. 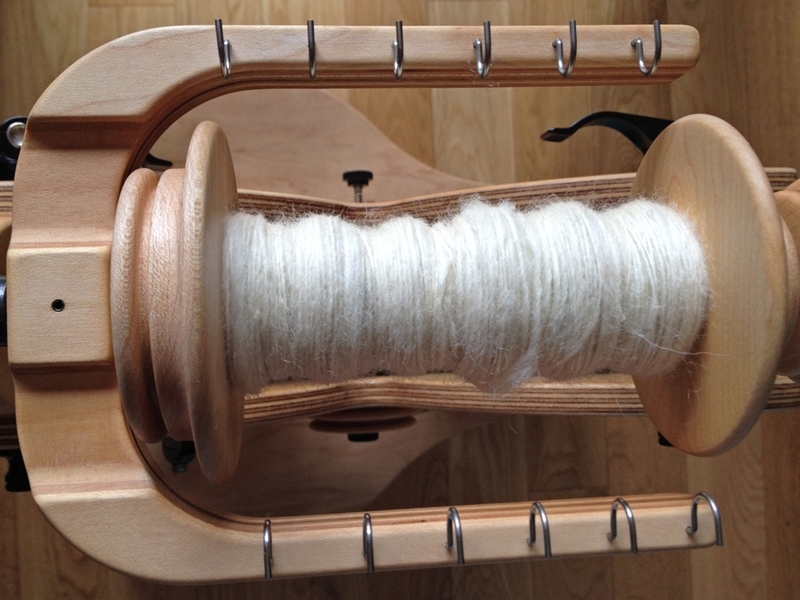 Plying definitely evened out some of the more mountainous sections. After a bath and a few good thwacks against the shower wall, the yarn plumped up nicely. I’m ready to prep and spin another skein just like it.